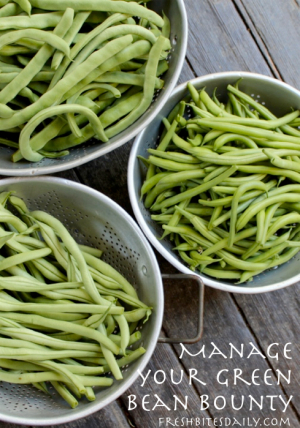 Whether you grow bush beans or pole beans, when the crop comes in, it is abundant. 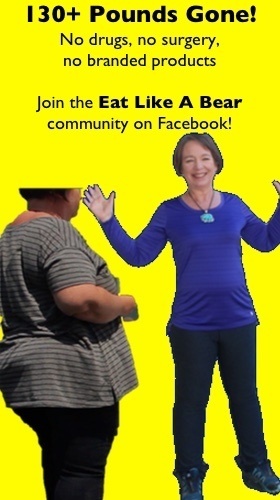 It’s easy to become overwhelmed and let a pile of beans sit in the refrigerator too long. Bean bean flavor and quality is markedly best right after harvest. Quality quickly diminishes by the day. Harvest when you know you can bring the green beans into the kitchen and tend to them immediately. This is crucial. Wash the beans in cool water. Sort through and remove any over-grown bean that will be tough. 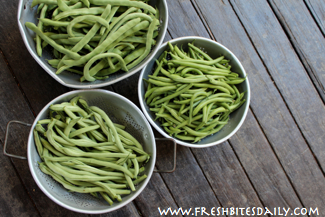 Set aside the green beans that have begun to develop “shelly” beans. These darlings can be shelled and the shelled beans cooked separately from the green beans. One plan is to cook them for about 30 minutes and then add them to cooked green beans that required only a few minutes to reach your desired degree of “cooked”. Trim both ends from the green beans. Set some beans aside to roast in the oven for a great afternoon snack. They are superb! Blanch the rest of the green beans in boiling water for about a minute and a half. Drain immediately and run cold water over the beans to stop the cooking process. Store the cooled beans in an airtight container in the refrigerator and enjoy them in different recipes for the next five or six days. The blanching process stops the deterioration that would have taken place. The beans are bright green and fresh tasting. Marinate some of the beans to use in composed salads or as a condiment. Add beans to soups or stews. Enjoy a creamed green bean soup. Make one large batch of a seasoned green bean dish like green beans with garlic chili lime butter. Use those seasoned beans in recipes like bacon wrapped green beans and green bean, bacon and tomato salad. No one will complain that you are serving green beans every night. In fact, most of your family will be curious about what you will come up with next.